Chris shares his insights into the Queensland tracks and how he approaches each race. He also gives tips on Queensland trainers, jockeys and quite a bit more. A profile of Eagle Farm, Doomben, the Gold Coast, Sunshine Coast and Ipswich. What to look for when assessing trials. The different characteristics and motivations of Queensland trainers. Chris’ process of assessing the form. How he uses handicapper ratings to formulate his own class ratings. David: On today’s show my special guest is Chris Nelson. 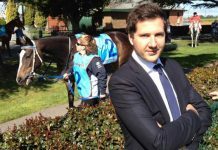 He’s the Queensland form analyst for Best Bets, also appears on TVN, and has a website known as Queenslandtrials.com.au, where funnily enough, he looks very closely at all the trials in Queensland, and finds some value runners there. The ones that can otherwise slip under the radar, gives them a speed rating, looks at times, but also the effort that they ask from the trials, to see which horses show a bit of potential, and might be ones worth following. 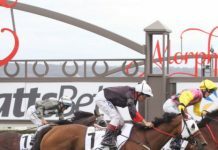 He has a strong experience in Queensland racing, and we’re going to discuss the various tracks and how to approach them, trainers, jockeys, and quite a bit more. So let’s have a chat with Chris. David: Hi Chris, and thanks for coming on to the podcast. Chris: It’s a pleasure David, great to be on. David: Yeah good to have you on board. And many listeners will know who you are, and what you do from the work you do for Best Bets, and for TVN. But just for those that don’t, can you give us a brief history, a brief run-through of your background? Chris: Yeah well I’ve worked for Best Bets for about, probably about 3 to 4 years. Started out there doing some videos part time, I was working in another industry completely different. Look I had a sort of a racing background, I was obviously very interested as a younger person. I used to get to the races with my mates and even underage, get in the gate there and get somebody to take you in, like a lot of people started out in those days. And sort of worked in the industry slightly, I did a bit of work with a bookmaker, I worked for the trainers association back in the late 80s early 90s, but then moved away from it for a little bit and did other things. But the opportunity came up, probably about 2007, something like that, to do some video work for Best Bets just as a part time thing, so I started doing some of that work. One thing led to another, there was an opening in there to do some Brisbane work, I jumped at that. And just the way it worked out, I left my other form of employment and came to do this full time and I haven’t looked back, I love it. David: And so what do you like about Queensland racing? Chris: Oh I think the consistency. Generally I find most of the form is consistent, although some people may disagree with that. I just like, I think their racing’s an exciting sort of racing, they might not have a Melbourne Cup Carnival as such every year, and nothing really you know, you can’t really compare anything to the Melbourne Cup Carnival. But I just think there’s generally an exciting race, or an interesting race pretty much every month. There’s a race down at the Gold Coast, or they’ll be something going on in Brisbane, or something at the Sunshine Coast. 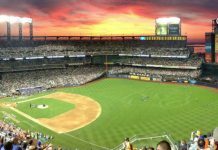 While it’s not focused on one particular time of year, you might say the Winter Carnival is obviously the main focus, but during the year you’ve got other things such as the Magic Millions at Christmas time, and other events as well. So I just like the continual sort of pattern of Queensland racing, there’s always something that’s exciting every month. David: So run through a few of the different tracks, and you can fill us in on what you’re looking for and the unique characteristics of each. So firstly Eagle Farm, how do you approach betting at Eagle Farm? Chris: Well Eagle Farm’s a bit of a problem child at the moment. As many would’ve seen over the last few years I suppose, once Eagle Farm gets a little bit of rain it does deteriorate quite quickly. It doesn’t take a lot of rain that’s for sure, to go from a dead track to a heavy track. Eagle Farm’s the biggest of the all 5 major tracks in Queensland, it’s about 2000 metres in circumference, with a straight of about 438 metres. Look it gives every horse a chance Eagle Farm, you can come from the back obviously if you’re strong enough, you can lead, it basically depends on the tempo of the race. But look Eagle Farm’s going to be ripped up in, I’d say the next year or so, the tender hasn’t quite gone out yet but it isn’t far away. But the money has been put aside, they will rip up Eagle Farm, it will come back a different track, so we’ll have to start all over again, but it certainly does need redoing. Having walked it on several occasions, it’s no fault of anyone’s, they’ve done a good job with what they’ve got, but it’s just been a long time with the same surface. And certainly needs some work done, which it will do. But as I said it’s a fair track, you can come from behind or you can lead, that last 100 metres sometimes can be a bit much for some of those front runners. So it’s a fair track, with some pretty fair starting points. Doomben on the other hand is more of a boutique track, it’s only about 1700 metres in circumference, the straight is about 350 metres. Better to be on the pace, look you can come from behind, but more horses will win from up on the pace at Doomben then they will at Eagle Farm. Especially for some of these mid-week meetings where the rail can be out 8 to 10 metres, and the leaders can just skip away on the home turn. Especially on good and firm tracks, they can be very hard to run down in the straight, and we’ve had a couple of mid-week meetings in recent weeks where you just can’t get past the leaders in the straight. So if you’re looking for an advantage, Doomben mid-week when the rails out it’s very hard to get past the on pace runners. The Gold Coast, Gold Coast as we know races pretty much every Saturday throughout the year, and a couple of mid-weeks as well. It’s just under 1900 metres in circumference, a straight of about 400 metres. Look the interesting part about the Gold Coast is the starting points, there’s only really a couple of starting points there that are good starting points. The 1400 metres where they start the 3 year old Magic Millions is a good straight 400 metre run to the first turn. The 2000s not too bad, but all the others, you’re pretty much on a turn very quickly, so your 1200 metre races, your 1100s, your 1800 metre races as such, you’re on a turn quite quickly. So you’ll want to draw in there at the Gold Coast, or get a horse that can come across pretty quickly if you’ve drawn out. Sunshine Coast, that’s the biggest track, or one of the biggest spacious tracks in Queensland, it’s not biggest circumference wise, it’s just under Eagle Farm, but it’s very spacious as I said. It’s got a long 400 metre uphill run, and some of the horses similar to Eagle Farm find that a little bit tough over the last 100 metres or so. But generally every horse gets their chance at the Sunshine Coast, but it does get very wet, and it does take a long time to dry out. Ipswich is probably the last of the major tracks. It’s a tight turning track as well, it’s about 1750 metres around, short straight of 300 metres, and a sharp turn around the home bend. Horses can sort of loose their balance and run off a bit around that home turn, so the place to be is hard up against the side on most occasions. So each track has its little idiosyncrasy, but if you play to those you’ll pretty much be okay. David: And you mentioned Eagle Farm, and the problems they’ve had with rain. How soon are they ripping up that track? Because I know in recent times I think you mentioned once before, that there were maybe 4mls of rain, can turn the track from dead to heavy. You know you compare that to say Flemington, obviously I’m Melbourne based and biased, but it’s basically an embarrassment to the industry. So how soon are they going to get it fixed? Chris: Well, they did say it was going to be ripped up later this year. But from what I believe the tenders haven’t been released yet, so I don’t think that’s going to happen just yet. But I would say, really I’d hope it’d be all done before next year’s Winter Carnival. But time is running out, so that might be some sort of a problem. So I would say within the next 18 months to 2 years it will be completed. David: Okay. 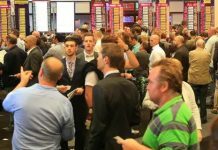 So with the work that you do, I know there’s your site Queenslandtrials.com.au, and you spend a lot of time watching trials, and writing reports on those that are maybe of some use to serious punters or bookmakers, form analysts who do take it very seriously. What are you looking for when you’re watching trials? Chris: When I’m watching trials I’m looking for the horses that aren’t put under a lot of pressure. Now there’s a couple of different facets to the trial report. Obviously there’s an in-running comment on every horse, there’s basically a little spiel at the end that gives you an idea of how much pressure was put on the horse. Whether it’s minimum pressure, whether it was maximum pressure, whether it was not pushed out, whether there was no pressure etcetera. That’s very important, and I couple that with the time rating. I do a time rating on each trial as well. So if you’ve got a horse that’s won a trial, and it’s won it in or even run close 2nd or 3rd etcetera, in a trial running good time, and there’s been no pressure put on the horse whatsoever, they’re the sort of horses you want to look for. And you get to know some of the stables will give their horses pretty easy trials, others will go out there with the intent to win and give their horse plenty of experience, and winning experience. But yeah looking for the ones that are sort of sneakily tucked away, or the ones that aren’t put under much pressure and have run good time, and look to have plenty in the tank. David: And you mentioned a speed figure that you’ll give a horse. So you know instead of looking solely at, well it’s derived from or based on the time, but for people that are doing the form looking at a time of say 59.5, you’ll give that a rating not out of 100, but typically what between say is it 80 and 120 somewhere round there? So you’ll say okay well this horse ran a 95 or a 90? Chris: The average is 100 roughly. So everything’s averaged to 100, so if you get a horse that’s run a 102 or something like that, it’s obviously a touch faster or a length or so faster than your average. David: And is the average based on all horses? David: Is the average based on all horses? Chris: Yeah the average is based across, it’s taken off the actual trial times over quite a long period, based on the conditions on the day. So it’s a time factor relative to the conditions on the day, it’s an actual race figure, they’re not for all horses it’s a race figure. But if you wanted to work out a figure from a particular speed number, you could just take off the beaten lengths that would give you an individual figure. But I tend to say well that was a strong trial, this horse has run good time, it’s won the trial in good time, and it wasn’t pushed out to do so. That’s the type of horse that I’m looking for. Or even if you’ve got one that’s finished 3 or 4 lengths behind, and the time might be exceptionally good, well over the 100 mark, those sort of horses are the ones you’re looking for, the ones that get flogged to the line certainly aren’t the ones you want to be on. David: You would prefer that they leave something in reserve for race day? Chris: Most definitely yeah. You don’t see many horses come out of trials after they’ve been really pushed right out to the line to score and perform well. It just doesn’t seem to happen. David: And you mentioned the different characteristics, or motivation of trainers. What have you learned there as far as trainers to follow from trials? You’ve mentioned some horses who aren’t asked to give the supreme effort in a trial. So are there certain stables that you look for, where they run decent time, or performed okay without being asked for the big effort? Chris: Yeah well Liam Birchley’s one that gives his horses fairly easy trials. He doesn’t very often send his out to win. He does have a bunch of owners there that do send quite a few horses off to Hong Kong. Now you’ll find he might win the odd trial, and you’ll look at the owners and you’ll see it’s that particular group of owners, and you’ll never see that horse again. So he obviously he does that, they have to, I think they have to win a trial before they can be sold off or race in Hong Kong, I’m not sure about that. But he does that regularly, but he also, if he’s not looking to send a horse to Hong Kong an unraced one, he’ll tuck it back in the trials somewhere and you won’t see a lot of it. It’ll be given a very easy time. Rob Heathcote, he’s the premier trainer in Queensland, he doesn’t tend to put a lot of pressure on his horses in his trials, and he doesn’t always trial them. So he can be a bit of a difficult one to follow. Matt Dunn, he’s one that gives his horses very very soft trials. You really rarely see any pressure put on his horses at all in the trials. John Thompson was quite good with trials, but obviously the Patinack operation has sort of held it up a bit now. But he was also one that used to give his horses nice easy trials, and generally would run well. But yeah I’d say Birchley’s probably definitely one to keep an eye on when he gives his horses quiet trials, and Rob Heathcote is the other one. David: And it sounds like there’s a little bit of an edge to be gained there, just because not many people do the work required I suppose. I mean earlier this year I spoke to Dominic Bierne and you know in the 80s he had people watching trials at Kembla and grading the horses. We found with Dean from Trial Spy for New South Wales trials, that there was certainly some value there, and it sounds like there’s similar value to be had in Queensland. Chris: Oh there is. And we’ve had plenty of winners come through the trials. And I might’ve said earlier, where if you’ve got a horse that’s not put under a lot of pressure running a good time, it can be a good bet coming up in the next 1 or 2 starts. But go back the other way, you’ll often get a horse that’s put under quite a bit of pressure winning a trial. Now when the average punter picks up the paper, and he sees that this horse has won a trial, that’s all he knows. He doesn’t know how he won the trial, he doesn’t know how much pressure was put on, doesn’t know what sort of time relative to the other times on the day. So we know that that horse might’ve run 89 when he could’ve run 100 as an average, and he was pushed right out to the line. So that’s a horse you don’t want to be on, so you can go both ways, you can be backing horses, or you can be laying favourites, it can work in a lot of different ways for you depending on your punting style. David: So that’s trial form. What about when you’re just doing the form for a Saturday meeting, say for Eagle Farm or Doomben? Obviously you’ve got some tight deadlines that you have to work through, but just run through how you go about assessing the form. Chris: Yeah see it’s a long process, but it has to be all completed by Wednesday around 11:30-11:45. So basically what we’re doing is we’re working off the nominations. Now the nominations as you know come out on a Monday. Now what I’ll do is I’ll get those nominations, first thing I have to do is basically write up a comment for every particular horse that’s nominated. Now keep in mind most of those, well not most of those, you might get 150 nominations, you might end up with only 120 of those horses actually accepting on the Wednesday, but we need to write up a comment for all of those. Then I’ll put that information in a spreadsheet myself, and then I’ll start adding in my own figures. 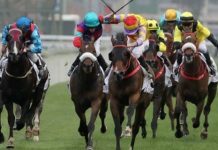 I do a separate figure after every Queensland meeting, whether it be Doomben, Eagle Farm, Sunshine Coast, wherever, I’ve got a particular time rating for each race, and I’ve got a particular class rating for each race. So I’ll put in my class rating, my time rating, and I’ll work out which particular is the highest, or which of the best suited to the actual race on the day. So I’ll put those into my spread sheet, and then I’ll add in my in settling positions, so your speed map and such. I’ve got a list of all these horses, with all their time figures, and their class figures that they’ve come out of, the race that they’ve come out of, and where they’re going to settle in the run. Now that can all change come Wednesday, when the final figures come out or the final fields come out sorry, you might have 5 or 6 leaders in the nominations in a race, and you’re quite keen on a backmarker, and acceptance time all those leaders might come out. So you’ve got to make some pretty quick decisions, the acceptances come out about 9:30, and as I said it’s about 11:45 and we’ve got to have all the previews and the selections done. So it’s just a matter of me then, oh I’ve got it in my mind roughly what I like in the race, but I have to then see how it’s going to be suited the way they’re going to run the race. Because I’m very big on the speed maps, and where the horse is going to settle, whose going to ride the horse obviously, and generally that information comes through at acceptance time. There are a few gaps that don’t get filled till after 12:00, so we are a bit blind sometimes in that case, but that’s basically the process. So it starts on Monday just with your general information, your comments, plugging in all your individual numbers, and once the final fields come through you’ve got to quickly get through it all. I think the hardest part Dave though is to try and get your crystal ball out and predict what the track conditions going to be like on Saturday on Wednesday morning, and especially when you’re dealing with Brisbane anything’s possible. Chris: No, the markets don’t come up until the Wednesday afternoon in most places into Wednesday night. So yeah we are a bit blind, but that’s the way it is, we need to be first out on a Thursday, and that’s the way it goes. David: Yep. So when you mention that you use the time ratings or the speed ratings, are you talking about one figure for a horse? Or are you saying that you know over its last 3 starts it’s rated 92, 95, 94. Chris: Yeah exactly. So I’ll use that speed figure, just to give me the idea of the strength of a race. So I’ll go back in that spread sheet and I might have last run, second last run, third last run, fourth last run, and I’ll just have a look at those numbers and see if there’s any consistency there. Plus when they’ve earned that speed figure, or that rating, how have they rated? Were they sitting three wide, four wide the whole way, were they racing without cover, did they miss the start. It’s a lot more than just a number, you just can’t treat it as a number, there’s a lot that goes in to the actual number as well. As I said, how they’ve travelled during the actual race, whether they led, whether that race was run to suit leaders. So there’s a lot of information that goes into that. So it’s a number, but it’s only used as guide, there’s also other information you need to put in. David: So if you’re talking about say, a class or weight ratings, is that a component of what you’re talking about just then, or is that a separate thing? Chris: No it’s a separate thing for me. I’ve developed just something simple. I was looking for a weight or class type rating sometime back, and I thought well the person that knows the most about weights and class would surely be the handicapper. So I could just give a clue to all the listeners out there, that the way to go there is to go to and have a look at the horses that accept at a particular meeting. And every horse other than a 2 year old or a maiden, or most of them have a rating as we know, a particular rating. Now if you look at that race, have a look at those ratings of those horses, and get yourself an average, or grab an average. Because you might have a benchmark 85 race, and the nominations might come out Monday, and the top horse in that race might be 85, the 2nd horse might be 83 or 82. Now by the time you get to acceptance stage the 85, the 82, might have dropped out, so suddenly your benchmark 85 race hasn’t even got a horse that’s rated 85. And you might find the under 83 one that’s left, the others that are left there are quite low. So that’ll give you an idea, the race might only rate 75 or 76 or something like that, so you know it’s a weak benchmark 85. David: So it sounds like using it less as a preview tool, as far as trying to differentiate amongst the horses, because typically the weights will be a strong indication of the difference in the handicap ratings anyway. Chris: Exactly. Yep, I can use that as a base, and I find that it’s very accurate. Something as simple as that can prove very accurate. If you put that together with your speed rating. I don’t add them together as such, just to have the two side by side, knowing it’s come out of a strong class race, or a strong benchmark, or something like that race. And it’s got a high speed rating on the day as well, then that’s the sort of horses you’re looking for. David: Yep. I mean the handicap has done the work for you. David: Yeah makes sense. Alright, so what about jockeys. Are there a couple that you’d really like to be on your chances? Chris: Definitely, Damian Browne in Queensland he’s an absolute standout. Horses just run for Damian Browne, he can ride distance horses perfectly, he can ride sprinters perfectly, they just seem to run for him, he doesn’t put them under a lot of pressure. And he’s a standout, if he rode every horse that I’ve tipped in Queensland, I’d be very happy. Michael Cahill’s right up there, he’s a close second, but I think Damian Browne’s just got the wood over Michael Cahill. Chris Munce is an interesting one, I find him hard to follow at times. Look he’s an aggressive rider, if he’s on a horse of mine that I really want him to get stuck into from the gate and get across, or a horse that’s going to be stuck in a pocket behind the lead, and I want the horse to be able to get out on the straight, he’s the sort of horse I’d want to be on. But if he’s on one that you need to nurse, that’s drawn a wide gate, he can go forward in his races and get stuck out there in no man’s land. So yeah, I’m more of a Chris Munce fan when it comes to horses that need a bit of aggressive riding. In Queensland we have quite a few apprentices now, they go through there stages as we know, they’re only learning the craft, so you’ve got to cut them some slack there. I think Boe Apoe’s an up and coming apprentice whose riding very well at the moment. He got a couple of winners recently, and I think he’s on the right track. Look a couple of the others, look they go through particular stages where they ride well, and then they might put in a few shockers. But as I said they are apprentices so you’ve got to keep that in mind. But I do think of those apprentices Boe Apoe does show quite a bit of promise, and he’s worth looking out for over the next few months. David: Are there any senior jockeys, maybe one in particular that you think is overrated or over bet, so you’re not necessarily potting that jockey on their own, but just the fact that the market overestimates their ability? Chris: Probably Chris Munce at times. But I’m not having a shot at him in any way, shape or form, but probably Chris Munce at times. The other one I didn’t mention is Glen Colless, he’s probably not getting the opportunities that he has got in the past, but you certainly don’t lose anything with Glen Colless. And also one other, Rick McMahon does ride very well. He’s a very polished rider, he’s only a young fella, but he’s come along way. He does a lot of riding for Kelly Schweida, and most of these Schweida horses when they’re backed, I’m sure we’ll get to that when we talk to trainers, I’ll talk about trainers Rick McMahon rides. So yeah no pot on any, real pot on any rider up there. Probably Chris Munce when he’s on a horse that needs to be a little bit quietly ridden at times, might run into a few problems. David: Yep, let’s talk about trainers then, and who increases your confidence level, and that’s, obviously we’re about finding value and getting a profitable edge there. So not necessarily just high strike rates or high profile, but who do you think has the best value opportunities amongst the better trainers? Chris: Well I still think Kelso Wood would be, he does fit into that high strike category. His strike rate is the best in Queensland, it’s near up to the best in Australia. He trains a winner just over every three runners, or every three races, so he’s excellent. We know he’s had some good horses over time with Sizzling, and Beltone, and his horse coming through as well now. But he’s an exceptional trainer, he doesn’t have the amount of horses that Rob Heathcote and Kelly Schweida’s have, but what he’s got he’s exceptionally good with. He’s a very very capable trainer, and he’s the one to definitely put up there on a pedestal I think in Queensland. Rob Heathcote, he has more runners than anybody else, he’s got a very large stable, he is the premier trainer. I think his horses probably do get a little bit unders a bit of time, the prices they do go over a little bit short. I think that could be a bit of a problem with some of his runners. Kelly Schweida as I mentioned, very good as a betting stable, when there’s money for one from the Schweida stable it rarely misses, and they tend to start to open up their purses or their wallets on Wednesday night as soon as prices go up for a Saturday. So very very worthwhile looking out for Kelly Schweida horses that are backed and Rick McMahon rides. Liam Birchley’s sort of in that category as well, he doesn’t get as many winners as he used to, probably not as effective as he used to be, but they don’t mind a bet either. Now the one that I really do think sends a lot of horses around at short quotes is Matt Dunn based in the Murwillumbah. Seems to have a lot of horses if it gets in as favourite, very close to favourite, or sometime odds on and he’s strike rate that sort of a case is pretty ordinary. He’s one in sixteen as his strike rate for a season, and one in seventeen for his career. So while I’m not bagging him as a trainer, I think the public out there definitely tend to send these horses out too short. David: Okay. So just to finish up I want to talk to you about horses that have performed well over the Brisbane Winter Carnival, and just how well do you think that form transfers to the spring in Melbourne or Sydney? You know a lot of punters think that it’s a big step up, but then also some come with some residual fitness, or a nice winter in Brisbane. So how do you line them up when you’re talking about the bigger races in Sydney or Melbourne over the spring? Chris: I think it’s harder now, because they’ve had so much rain in Brisbane during the Winter Carnival. Once upon a time it used to be fine and sunny most weeks, but that’s certainly changed. But look I think they do struggle generally, you’ll get the odd one or two that’ll perform really well when they get to Melbourne, and look Rob Heathcote’s a perfect example. He’s taken Woorim down there in the autumn a couple of years ago to win the Oakleigh Plate, he took Solzenitsyn down to Melbourne in the spring last year to win the Toorak. His top horses from Queensland will always measure up, but there’s not that many of them, and you see that when the carnival actually comes to Brisbane in the winter. The Sydney horses basically dominate everything. So yeah I do think they have trouble, probably lining up or matching up when they get down south in the spring time. But by the same token there’s probably not that many of them that go down there. So I think they have a little bit of trouble, the good ones will generally stand up, I mean Sizzling’s heading down there this year for the Cox Plate, I think that’s probably going to be beyond Sizzling, but you never know. The stables have done it in the past, like the Heathcote stable, I’m sure he’ll take Solzenitsyn and horses like Buffering down there again, and they’ll always perform well. But yeah just your everyday horses that are winning open handicaps in Brisbane, they do struggle to match up to the southern states. Chris: Good on you Dave, pleasure.